In just two years, Mikolai Stroinski has gone from ghost composer to award winner. Through works such as The Vanishing of Ethan Carter and The Witcher 3, he has rejected Hollywood conventions in favour of artistically-driven approaches to scoring. Stroinski is type of innovator the often-derivative game music sector desperately needs. In this indepth interview, Stroinski discusses his journey to becoming a successful musician and reflects on his career highlights. He places special focus on his four defining works to date: the trailer for Dark Souls II, the foreign language adaptation of In Treatment, his double AGMA-winning score for The Vanishing of Ethan Carter, and the brand new release The Witcher 3. Along the way, he offers some excellent advice to those aspiring to become musicians or artists in general. Chris: Mikolai Stroinski, welcome to Game Music Online and congratulations on your recent double win at the Annual Game Music Awards. Mikolai Stroinski: Hello. Thank you very much for having me. I am really honored to have won both titles last year. It is still a bit hard for me to believe it. Chris: First of all, could you tell us about your journey to becoming a composer? 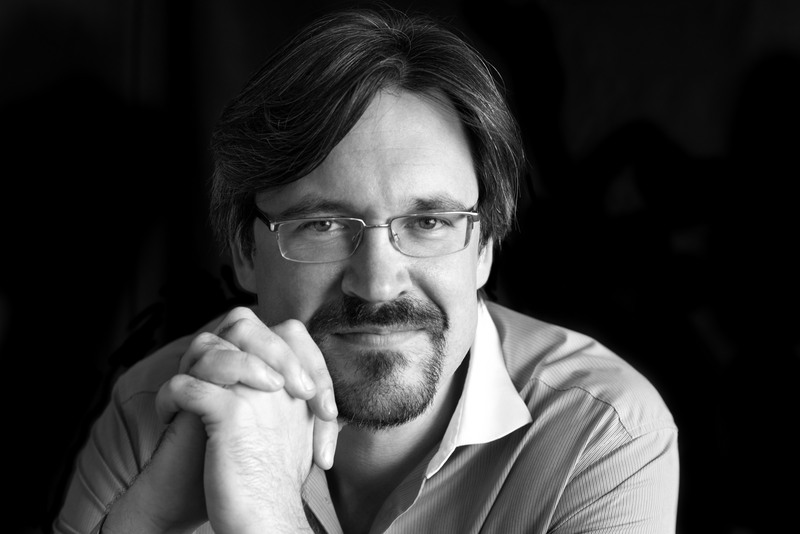 Mikolai Stroinski: I remember my first composition when I was 10 years old. At the music school my teacher was talking about elements of music. She spoke about rhythm. She said, rightfully so, that the rhythm is the most important part because it’s always there. In other words you can’t make a piece of music without a rhythm in it. So I went back home and tried to prove that I can! In my 10-year-old head, I was getting away from “the rhythm”, but of course at the same time I was bringing in new rhythms; in the end it turned out very syncopated, I would even say jagged… still rhythmic though! That was my first attempt, I think, followed by many miniatures on piano. 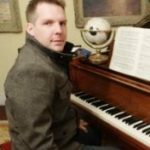 For many years piano performance was my main focus and I only seriously picked up film composition at Berklee College of Music as my dual major. Once I graduated in 2004, I moved to LA and ghost-wrote for many TV shows, which enabled me to improve my production skills, something I didn’t know anything about when I started. This experience has also taught me to work with picture and I developed something I would now call “literal scoring”, where you write the music to exactly what is happening in the picture. Chris: You are known for exhibiting eclectic influences in your music. Can you tell us more about your influences? As far as my influences go, before coming to the US, it was primarily jazz (Oscar Peterson, Bill Evans, Chick Corea) with short-lasting romances with rock and pop. Only after entering Berklee College of Music did my brain open up to everything else that’s out there. I began to understand that, yes, there can be good music in every possible genre. I fell in love with 20th century classical music, Brad Mehldau, Arvo Pärt, Górecki, and Prokofiev but also with bands like Liquid Tension. I also discovered Steely Dan, which sadly is not really known where I come from. Right now I really listen to everything; however modern classical music and jazz remain my favorites. I listen for both pleasure and for research. Chris: Your soundtrack to The Vanishing of Ethan Carter is a leading example of inspired narrative scoring. Could you elaborate on how you developed a distinctive sound on this title to match the game’s tone and storyline? What inspired you to reject typical Hollywood conventions on this score in favor of a more subtle, personal approach? Mikolai Stroinski: I never even had the instinct to go Hollywood on Ethan Carter ‒ this game and its story are too intimate to score it that way ‒ despite the vast picturesque setting. I think its success is partly because it is targeted inside the player’s imagination. The musical recipe was pretty clear: Take a lost young boy, Red Creek Valley and its secret story. Add some creepiness, but not too much. Add some salt and stir. Wait for the melody to arise. Cooking analogy aside, I wanted the sound to be organic, with orchestral elements (primarily the string section). I used instruments that are real but there is something wrong with them: The main example here being the flute, which carries out the main melody in many places, very much like in many RPGs but it’s twisted a little bit; there is something wrong with the sound, much like it is with the Red Creek Valley which at first seems like a peaceful, quiet place but if you look closer ‒ not so much. Plucked instruments on top of also being delicate add momentum to the music, which prevents the beautiful scenery from being static. And of course, there’s the piano with its full range of colors. The challenge was to never go too creepy and never go too sad. Maybe it is my inner film scoring guardian telling me to keep those elements in balance. Most directors are sensitive to not make scenes obvious ‒ scoring with a heavy note can take away the multi-dimensional aspect and make them flat. I believe it’s also a good practice to always leave something out so that a listener can fill it in inside his or her head. After all, a pause is the most beautiful note ‒ as Count Basie once said. Chris: Ethan Carter features several binding themes, notably “Valley of the Blinding Mist” to represent the setting and “Ethan’s Theme” to represent the titular character. Could you tell us more about your vision for these themes? How did you integrate these themes and their arrangements into the game? Mikolai Stroinski: The melodic core of the soundtrack is “Ethan’s Theme”. The cues “Forgetful Forest”, “The Valley of the Blind Mist” and “The Last Walk” are directly derived from it, which I hope gives the music its cohesiveness. Those pieces are being played during the explorations on purpose, because that is when a player takes his mind off the task a little bit. Something very melodic isn’t the best background for a player to focus on solving mysteries. During those parts of the game it’s best to back off into ambient colors. It should be noted that, because the full theme is revealed only at the very end, it helps with binding the whole story together despite being only orchestrated for solo piano. Chris: Mousecraft and WordTrap Dungeon are also among your credits. What did these projects teach you about interactive scoring? What sort of music do they feature? Mikolai Stroinski: MouseCraft is a fun little game and it was a joy to work on. Each piece has two parts: A- when a player is setting up blocks so that mice can get to the cheese; and B- when the mice are out looking for the cheese and the tension escalates. My goal was for the part A to play for a long time without being repetitive, and gently push the player to think as well as allow the part B to enter at any moment because it is up to a player to let the mice out. This task is commonly found in games with interactive music. WordTrap Dungeon is still in the works. I know the developers had to put it on the back burner to finish MouseCraft, which at some point has become a priority. It is not yet finished, so I would rather wait with commenting on the music; I anticipate some changes to be made. Chris: Prior to your work on Ethan Carter, you scored several acclaimed Polish television series in recent years, namely Bez Tajemnic, Paradoks, and Zbrodnia. Could you tell us more about these series and your scores for them? What did you learn from scoring such titles? Mikolai Stroinski: Yes, Paradoks and Zbrodnia (The Crime) are both crime series produced by studio Opus Film, which is also behind the movie Ida, the recent Oscar winner in the “Best Foreign Film” category. I love this genre ‒ it really gives me an opportunity to dive into darker colors, and in the case of Zbrodnia also dive into analog sounds to mirror the many sun-blinding shots taken in the northern part of Poland by the Baltic Sea. HBO’s Bez Tajemnic is the Polish version of HBO’s In Treatment, which starred Gabriel Byrne in the US. This has been possibly one of the most intelligent projects I’ve ever worked on. As you know, ninety percent of the action takes place inside the psychologist’s office during therapy sessions with his patients. I have learned tons on this one because the scoring here had to be very minimal, as opposed to many previous projects. Literally even a single note could ruin a scene perfectly scored by silence. It was also a treat for me because every single season was directed by five top Polish directors ‒ amongst them Agnieszka Holland, three-time Oscar nominee who was also involved in the last season of House of Cards. Chris: You have also worked extensively as a film composer, ranging from Polish biographical documentaries, to Michael Madsen action flicks, to even a song on Cats & Dogs. Looking back at these works, what are the highlights for you and why? Mikolai Stroinski: Those were some of my first credits and despite enjoying working on them, sometimes I wish I had approached them differently. I guess everyone can say this about projects from years ago due to personal growth in experience. I’m grateful to have done them though: each one had different challenges and each one pushed me forward and gave me an opportunity to meet wonderful people who worked on them. Cats and Dogs was a big movie to have the credit on. The song I did with my friend Doug Bossi is played during the scene on a ship as a source music. Chris: You also gained overseas exposure as a composer for trailers. What are the unique challenges with composing a trailer? Mikolai Stroinski: As far as the challenges go on working on a trailer, I once used a metaphor that it is like building a huge structure with the use of a microscope: there are many details on screen for the music to “hit”, every tenth of a second can have an event that has to be reflected by the music simultaneously, and the overall sound has to be huge. Combining these factors is definitely a challenge. Chris: Probably your most prominent trailer credit is Dark Souls II. Could you tell us how you helped to attract consumers to this title, which went on to become a huge hit? 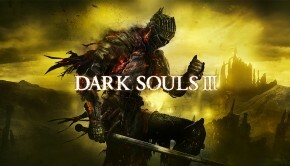 Mikolai Stroinski: Dark Souls II trailer was an amazing adventure. I still feel very grateful to Blur Studios for inviting me on this project. The funny part of that story is that I had no idea what the first Dark Souls was when I was scoring the trailer. I was only told that the first part was very successful and was famous for being extremely difficult. Admittedly, I had a break from video games at that time, so maybe that is the reason why I didn’t know what I was dealing with. And I think it was for the better, because had I known, I would have been more stressed. An additional stress factor came from the fact that I had to record during Thanksgiving time and all the vocalists I knew had left town! 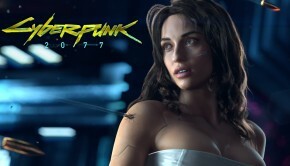 Lucky for me a friend of mine had recommended a vocalist who had not had any experience with singing for video games or trailers but he told me she was great ‒ and she really was! Her name is Kyler England. After we started working together, part of the process was to get the timbre right since the wish from the producers was that it should sound “otherworldly”, which we achieved by the combination of performance and some audio processing on my end. All in all, I was really happy with the outcome because I had never done this kind of music before, so it was nice to prove to myself that I was able to. I was very surprised to see 200k hits a day on that trailer followed by many emails from newly found fans. It’s kind of funny to think of the teenagers who liked the music and were googling the author of it hoping to discover some new alternative Heavy Metal band, but instead finding a Polish guy with a name that does not sound like Heavy Metal at all. 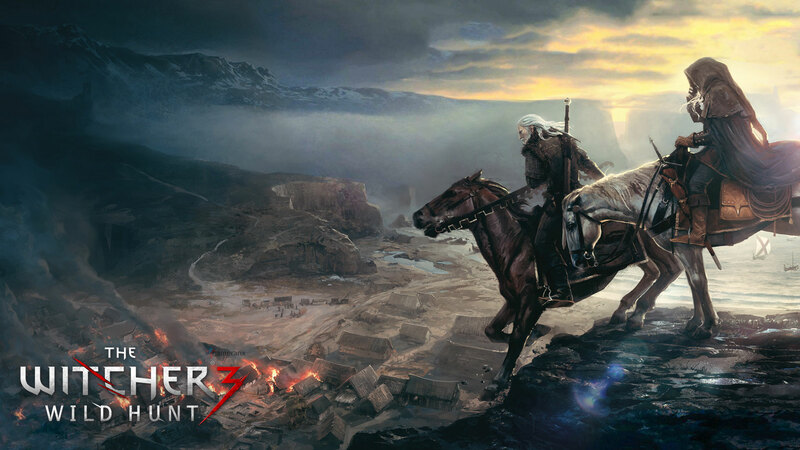 Chris: Looking to the future, The Witcher 3 will be released this month. How did you become involved become involved in this RPG series and what are your responsibilities for the score? As a new composer to the franchise, what did you bring to the score for Witcher 3: Wild Hunt? Mikolai Stroinski: After the success of the Dark Souls II trailer I became fairly known in Polish game development circles. CD Project had invited me directly to demo for the game, from what I know along with many others, very established composers. After I submitted my demo, I did not hear back for 6 months and assumed The Witcher and I were not meant to be. Suddenly I received a message from Marcin Przybylowicz, who is CD Project’s in-house composer, that they loved what I did for the demo and asked if I would like to join in. That is when I became involved. What have I brought? A set of new themes, harmonies and colors naturally. It must be said that the music in The Witcher 3 is nothing like in the previous renditions. Marcin and I have redefined the entire sound and have come up with interesting ideas that hopefully the fans of the series will enjoy. And there is plenty of it. There is over 4 hours of original music in The Witcher 3, which is really a lot taking into account that there is only two of us. Chris: In addition to its different tone, The Witcher 3 is very different to The Vanishing of Ethan Carter in its length and budget. Could you elaborate on how factors such as these affected your approach to composing and recording these titles? Were there significant differences in the workflows between the titles? 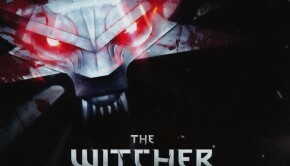 Mikolai Stroinski: First of all because of its scope, The Witcher has much more music in it. As I say, over 4 hours, whereas Ethan Carter has about 45 minutes. I was working on both games at the same time however naturally the labor on The Witcher’s music lasted longer. Due to the fact that I had less music to write for Ethan Carter, I had an opportunity to keep coming back to those cues and tweaking them here and there until I was fully satisfied. The Witcher’s deadlines were pushing my pace so there was no going back once I submitted the music. I also have recorded some amazingly talented soloists at my studio that greatly contributed to the overall sound of the The Witcher 3. Being able to record a top professional instrumentalist at a moment’s notice is one of the perks of living and working in Los Angeles. 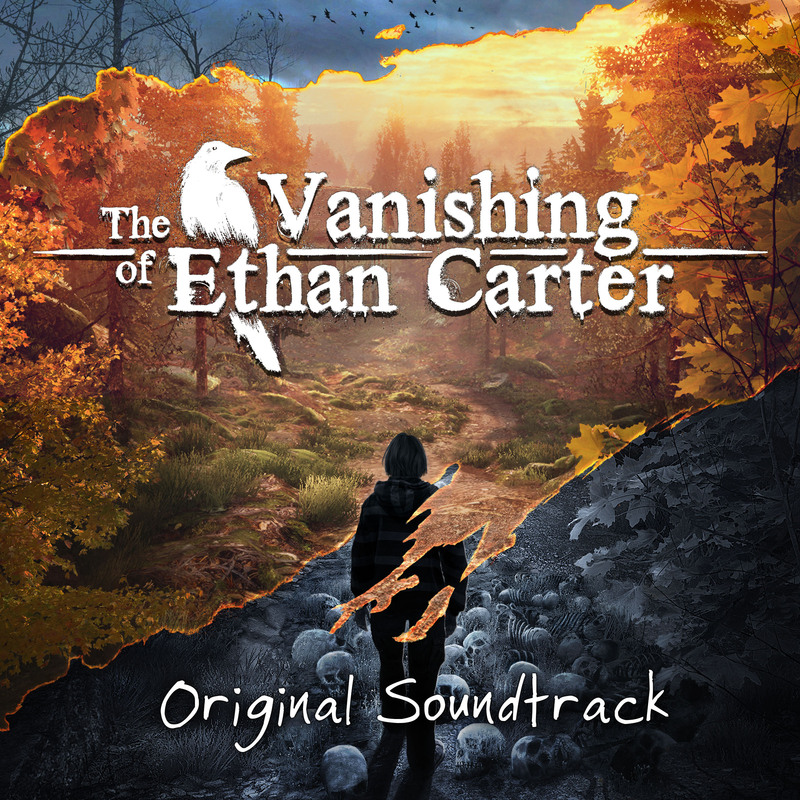 Chris: Official soundtracks have been released for The Vanishing of Ethan Carter and prepared for The Witcher 3. Could you describe the process of preparing your music for an album release? Do you compose your music with the stand-alone experience in mind? Mikolai Stroinski: I’m trying to, although there are cut-scenes which require me to sacrifice the integrity of the music for the sake of better serving the picture. I always look for the opportunities for the music to shine by itself. It’s not always easy and not always possible. 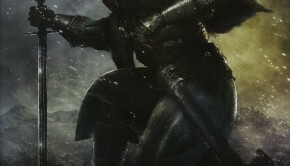 As far as preparation of the material for the soundtrack, in the case of Ethan Carter the soundtrack contains music from the game in its entirety, which would be impossible for The Witcher in its complete length. Marcin and I chose the best tracks in our opinion and then sent them over for mastering. Chris: You have quickly risen to fame over the last few years, culminating in The Witcher 3 and The Vanishing of Ethan Carter. For all the aspiring composers out there, could you tell us more about what your path to success? What tips do you have for those wanting to one day score their own blockbusters? Mikolai Stroinski: Always look for ways to make your music better. Don’t rely on samples alone — keep in mind that there are gazillions of composers out there and holding down a key which triggers even the coolest loop ever will only get you so far. Look for ways to grow as a composer and as a person. Make music that you respect. Make friends in the industry. Chris: Many thanks for your time today, Mikolai Stroinski. Is there anything else you’d like to say about yourself and your projects? Do you have any message to readers around the world? Mikolai Stroinski: Thank you very much, it has been a pleasure. Yes I think I can say something that relates directly to the question before this one: Always invest in quality over quantity. In the digital era, everybody can be a photographer, a DJ or a composer. Therefore in order to stand out from millions you need to keep investing in your pieces like they are your children. They will pay you back one day. I will risk stating that jazz is the most abstract form of any art, and it’s chaos in its best shape and form. You should listen to it to develop abstract thinking which can be an asset when you do something creative. Posted on May 10, 2015 by Chris Greening. Last modified on May 10, 2015. Very nice interview. I was kind of feeling bad knowing none of the previous Witcher composers would return (although I’m aware Przybylowicz wrote some additional music for W2) but Stroinski will certainly make things much more interesting.